Dr. Annette Julius | Harvard GAC e.V. 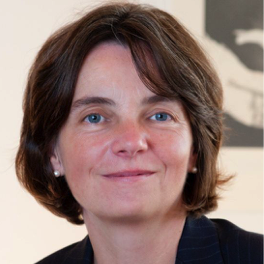 Since 2012, Dr. Annette Julius has been serving as the Secretary General of the German Academic National Foundation (Studienstiftung). Dr. Julius started her career at the intersection between higher education and academic sponsorship. Previously, she worked for the German Academic Exchange Service (DAAD) in various roles, including Head of the Program Department “North” and Head of the Berlin Office. Dr. Julius currently, amongst others, is a member of the International Advisory Board of the International Graduate Centre for the Study of Culture (GCSC) at the Justus-Liebig-University and serves as an academic advisor to the Humboldt University in Berlin. Dr. Julius studied Russian Literature at the Universities of Cologne, Dundee (Scotland) and Moscow.